Today I have a guest post for you from Sam who blogs over at Growing up two. 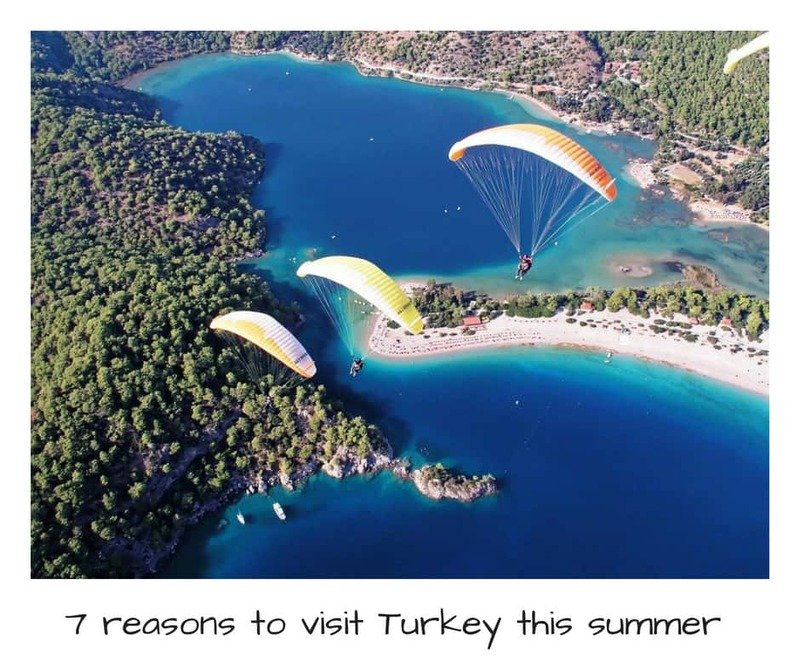 As you may have guessed from the title of the post the post is about 7 reasons to visit turkey. I have such fond memories of Turkey it was a place we used to go on holiday when I was younger. I have so many happy memories of turkey and a lot of the places below Sam talks about I have been. Turkey was also the destination for my first girls holiday and what a holiday that was. I hope you enjoy Sam’s guest post Make sure to check out her bio at the end of the post. Which has links to her blog and social media channels. Undecided on where to head off on holiday this summer? Looking for sun and fun for the family at a reasonable price? Look no further, get online and book a holiday to Turkey! 1. A warm welcome and unbelievably friendly locals. When’s the last time you saw a stranger look up from their iPhone and smile on the London Underground? You would probably think they were weird if they did! But in Turkey it’s different. The locals are naturally friendly and happy. They smile. Turks spend time with guests and strangers and on a second meeting it’s all hugs and kisses. The Turks happiness is infectious and, not only this, they LOVE kids. From the little old lady that speaks no English stopping you to coo over your baby, to the staff in restaurants happy to help entertain your little one while you eat, kids are made a fuss of and the young ones love it. A trip to Turkey is something the whole family will enjoy. Despite popular belief, Turkey dishes up far more than doner kebabs and baklava! The country lies at the point where East meets West, a colossal land with a foot in Asia and Europe. It’s been a trading route for centuries so it’s cuisine is rich and diverse. Sure, all the popular resorts serve up the English favourites; the fish and chips, burgers, pies and Full English breakfasts. But if you enjoy new tastes and freshly cooked cuisine, there’s a heap of local options to try. Order slow cooked lamb tandir, a meze or some grilled fresh fish. As for kebabs, there’s 100’s to choose from with many regional variations, and for vegetarians, Turkey is a dream. Worried what the kids will eat? Don’t. 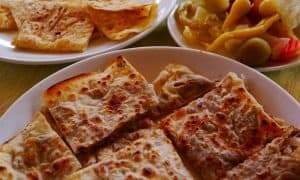 Turkish ‘pide’ is a cheap and crispy main all pizza loving kids will adore, and the meatballs, Turkish pancakes and soups should sort out any little fussy eaters. 3. Great value for money. Turkey is a non-eurozone, the currency is Turkish Lira. The exchange rate at the moment means the cost of living in Turkey is fabulous for anyone with pounds, Euros or dollars to spend. Dining in local restaurants, clothes, excursions, transport and daily supplies are far cheaper than the UK. Obviously, if you choose to frequent the trendy beach front bar for import cocktails and steak, it will hit your pocket. But, if you are content with local drinks, daily specials and local luxuries, Turkey’s a great budget friendly destination. 4. A wide choice of breathtaking resorts and locations to choose from. From pretty seaside bays framed by rugged mountains like Oludeniz, Fethiye or Kalkan. To thriving beach side cities serving up all the luxuries of life like Antalya, there’s a location to suit everyone in Turkey. The waters of the Aegean and Mediterranean are perfect for a dip or a lazy boat trip, and the sea so clear you can see the fish at the bottom even though it’s many metres below. The sky is blue, the pine forests green, and the history of many civilisations just beckoning to be explored. Turkey is a destination where you can be as lazy or as crazy as you want. There are no end of excursions, sports and trips on offer for those that want to get out and about. But if your idea of a breakaway is simply sunning yourself by the pool, there’s more than enough opportunity to do that too. 5. Vibrant nightlife and entertainment. You really can have the time of your life in Turkey! Places like Bodrum, Marmaris, Hisaronu (Fethiye), Altinkum and Antalya are jam packed with bars, restaurants, shops and entertainment. From Turkish nights to beach front bars, top DJ’s to quaint little back street haunts with live music, if you like to party, Turkey’s your place! Even for families many restaurants and bars have kids play areas tucked away inside to keep the little ones happy giving you a chance for a drink and a chat. Many hotels have kids clubs or can organise baby-sitting so you can enjoy some well deserved adult time. Take a look online, or ask a local Facebook group for ideas on where to go and what to do. 6. Wide range of accommodation options. You won’t struggle to find accommodation in Turkey. If you’re travelling on a shoestring, there are lots of budget packages or smaller family run hotels that offer great hospitality for a manageable cost. If there’s a group of you or you’re a larger family, consider a home from home and go self catering. Take a look online at rental villas and apartments. Most will have pools and it’s a great opportunity to keep the kids in a routine, buy local produce, rustle up meals yourself and stick to a budget. Split the cost and it can work out remarkably cheap. Failing that, if you really do want minimal stress and don’t like taking too much spending money with you, go all-inclusive. Although the price tag may initially seem high, you can eat and drink what you like and need far less spending money once you arrive. 7. A manageable distance away. It takes just over four hours to fly to Turkey from the UK. This is manageable, even with small kids and babies in tow. Get the bubbas excited about the trip, about going on the plane and heading off somewhere new. Although it can seem daunting travelling with youngsters, a few hours is normally fine if you pack enough to keep them occupied en-route. Think about it, the flight is no longer than a drive from Manchester to the South coast, probably less if you hit traffic. If you don’t need to work around school holidays, visit early or late season when flight prices are cheaper. Sometimes, if you sign-up for flight alerts, you can pick up a fare for less than £50 – that’s less than a train ride from Birmingham to London! Keep an eye out for deals and get booking. Hopefully this little lot has given you some food for thought. 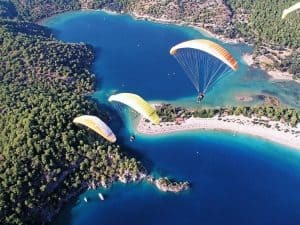 There are, of course, many other reasons to visit Turkey, it would be too easy to carry on, but that would take the enjoyment out of discovering the country yourself. Do head over and check Turkey out, one this for sure, you are unlikely to come back disappointed! This is a guest post written by Sam Ozer, a writer who runs the quirky family travel blog, Growing Up Two. Sam is a British mum living in Oludeniz, Turkey with her husband and young twin boys. Take a look at her blog for a humorous take on family travel, Turkish recipes, and rambles on raising kids in a country where you learn to expect the unexpected. You can also find Sam on Facebook , Instagram and Twitter.